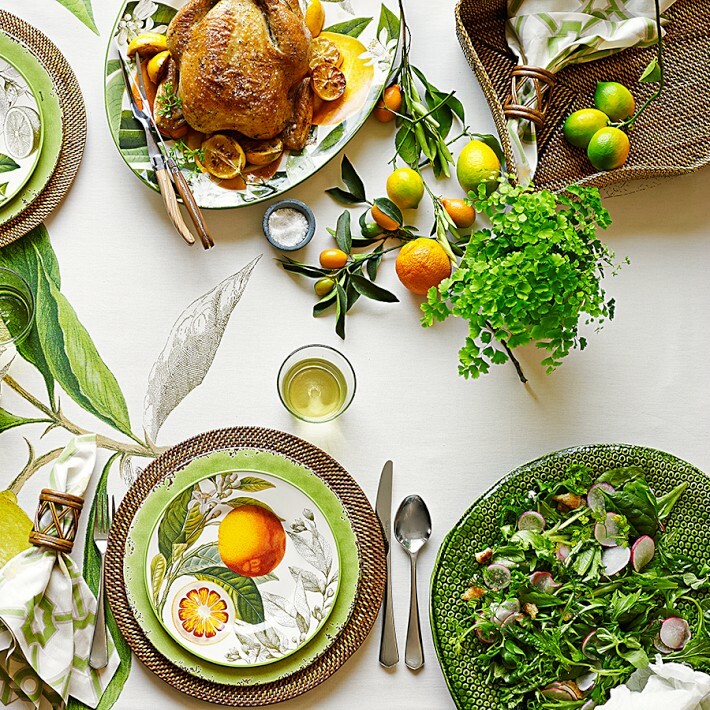 Williams Sonoma – Botanical Citrus Serving Bowl. In the grand palace gardens of Versailles, the orangerie was a favorite of legendary “Sun King” Louis XIV. His beloved citrus trees flourished there, providing the royal family and guests with ripe fruit all year long. 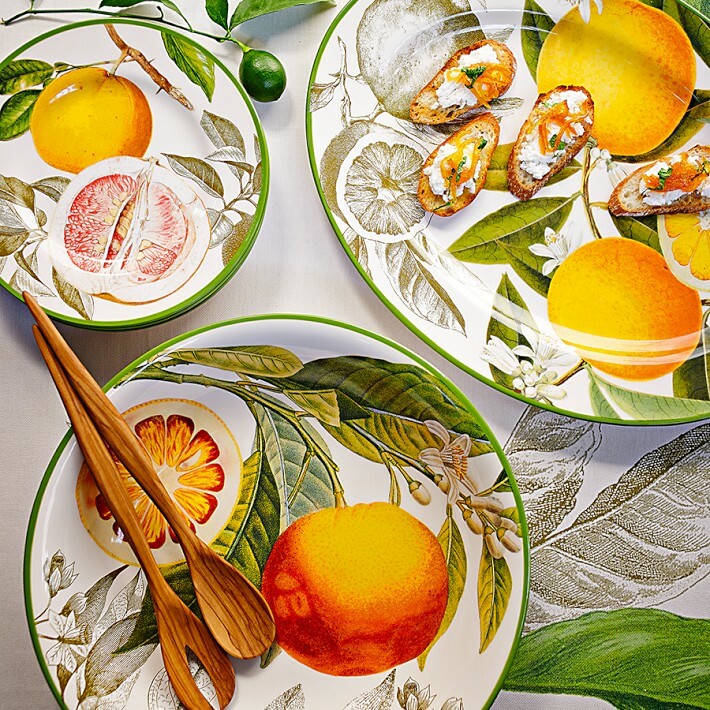 Our serving bowl pays tribute to the orangeries of France with intricate artwork of oranges. Decorated with illustrations of orangse and lemons.